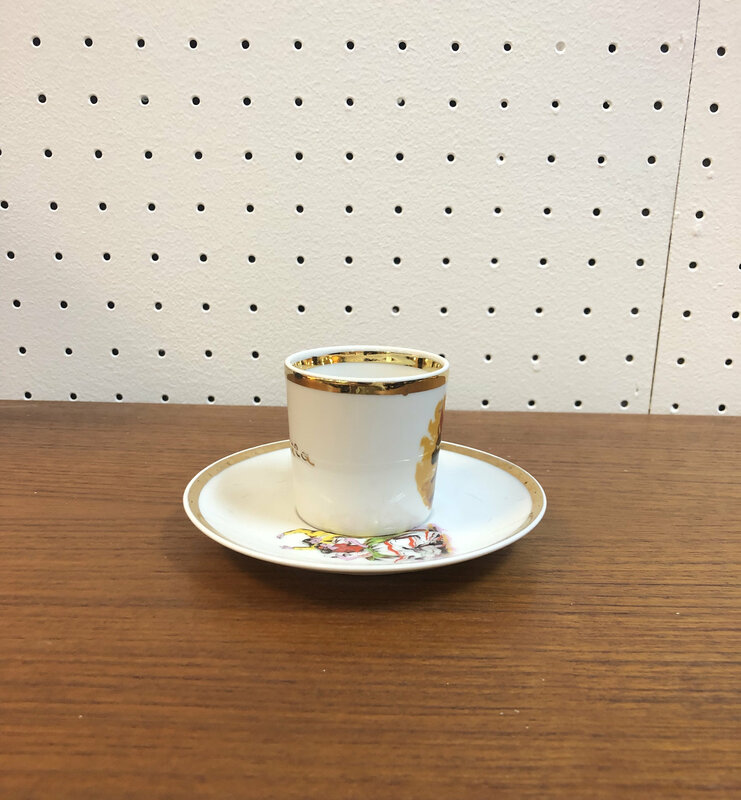 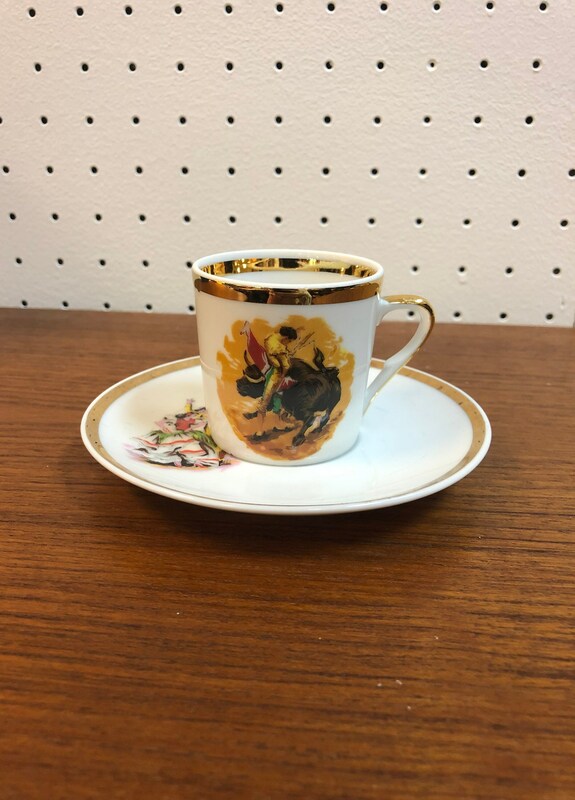 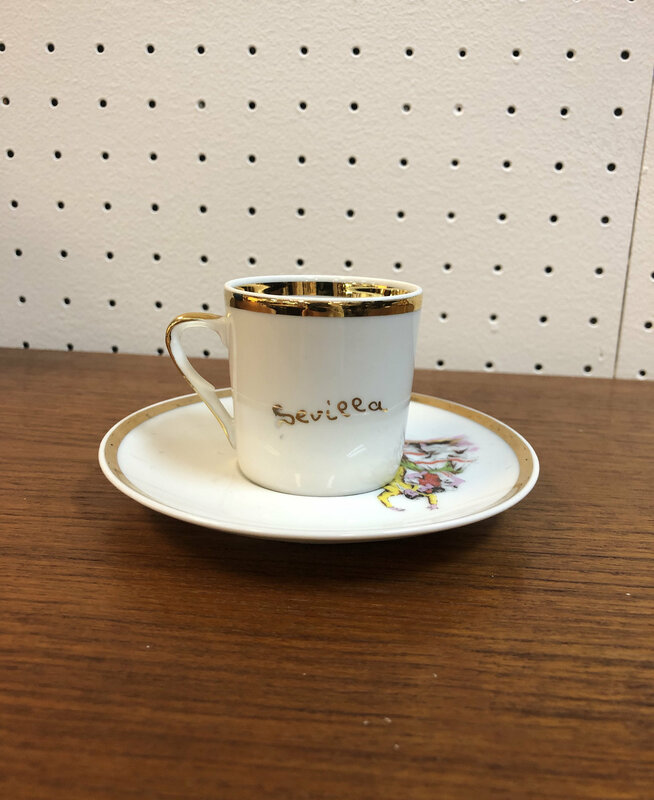 Vintage small china tea cup and saucer set with bull fighter or matador decoration. 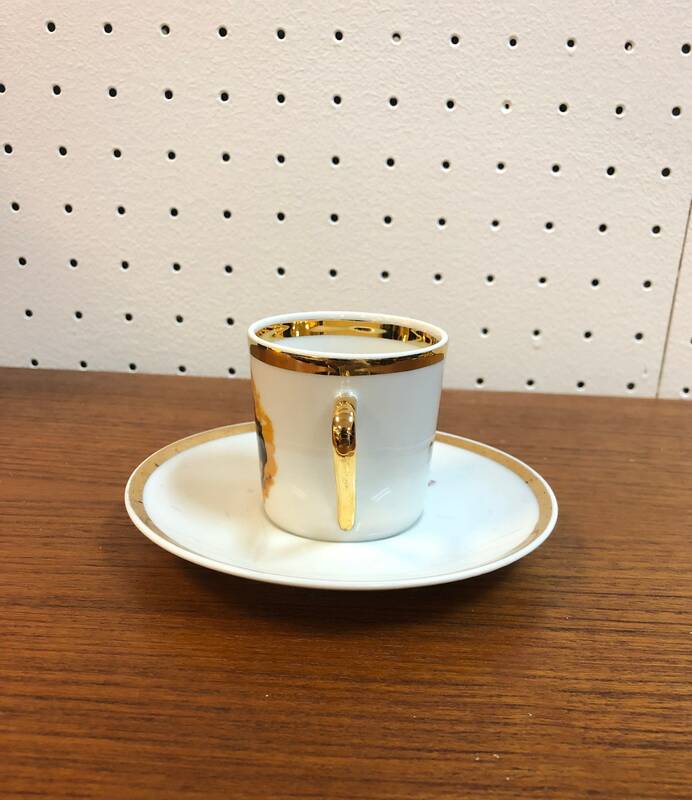 The tea cup measures 2 3/4”w(including handle) x 2 1/8”d x 2 1/8”h. 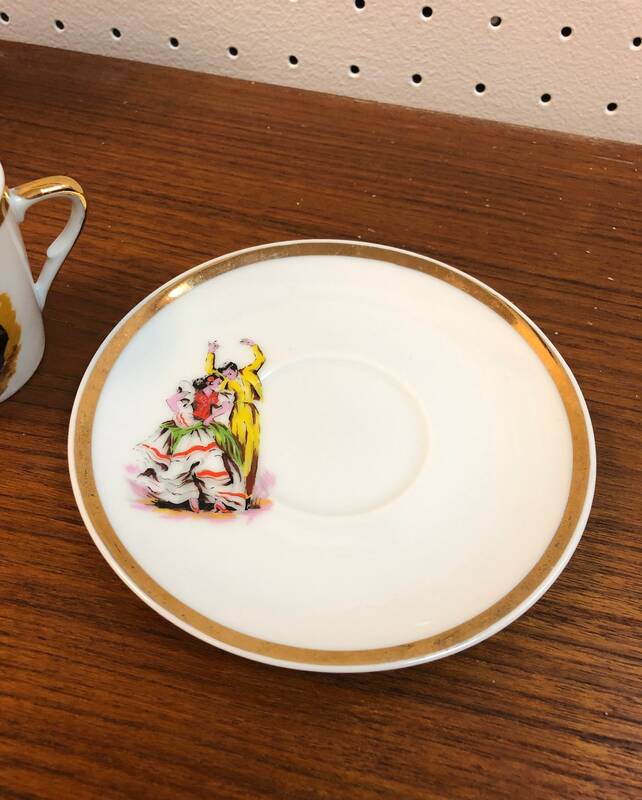 The saucer measures 4 3/4”d. 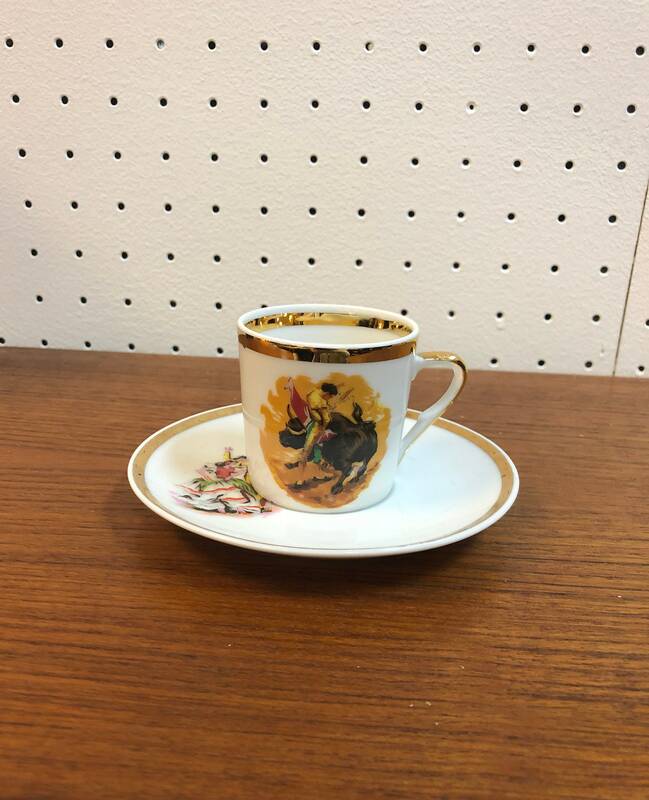 Local pick-up available or can be purchased at the Antique Gallery Round Rock.